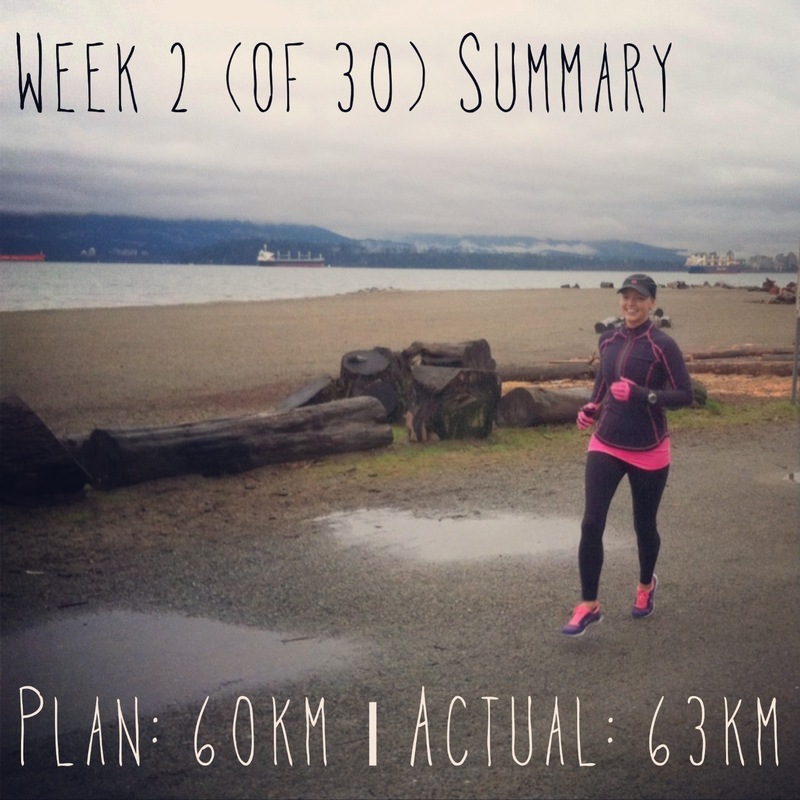 I didn’t do any pace work last week (other than a few strides). Or the week before. And if I do any this week, it’ll be with a group slower than my target pace. Why? Because I intentionally dedicated the first few weeks to simply ramping up mileage and getting back into the swing of things. That’s adding enough stress to my body at once. When I’m used to the mileage again, the speedy stuff gets added back in. Which is probably just perfect, because I didn’t start back feeling too speedy, light, or with my usual sense of endurance. It was this odd mix of not feeling like enough (too easy) while feeling like way too much (actually kinda hard). My brain remembers the mileage from last season… My body, however, has completely forgotten (I know of course that it hasn’t completely forgotten but it feels that way). So to help me feel more like the sub-3:21 marathon runner I know I am (positive self-talk people, positive self-talk, do try it), I began week #2 by doing my 5-Day KickStart Cleanse. Monday through Friday I followed it to a tee (okay, almost to a tee – I subbed in veggie chili one night) and by Saturday I was feeling back to my usual high mileage running self (phewf). Four pounds lighter really makes a difference! There’s just really no point in packing around any extra fat while logging these miles. Slows me down. In fact if I tried to do that, pretty sure I’m not hitting my target. So I dropped a bunch of it and I’ll drop a bit more over the next 28 weeks until I hit my racing weight. That magical point where you are well-fueled and energized to run strong and long while also being lean and light on your feet. It’s mid-January. Lots of talk still going around about cleanses, new fitness programs, quitting sugar and other bad habits, going dry, getting healthier. Which is all great – I mean, obviously, I’m in the midst of experiencing how great eating clean and getting back into a daily running and training schedule can feel. But of course the most important thing is to keep it up. Stay consistent. Because 5 days is but a good start. 2 weeks – ditto. But 5 weeks, or 2 months… or 6 months. That’s something else entirely. That’ll really get you somewhere. Hit some goals. Check something off the bucket list. Feel amazing. Keep moving forward, getting out there. No giving up, no backing out. Everyday – just do it. Aw, thanks so much Cheryl!